Stuart Strothman, author of the recently published book, entitled simply Sackett, spoke to the Sackett group on 22 September about his research for the book, and read extracts. The eponymous hero of the novel is Chief Sackett, son of Elizabeth Sackett who was abducted as a young girl by Indians from her parents' farm in Westfield. Elizabeth was a daughter of Westfield settler John Sackett (1632–1719), son of Simon Sackett the colonist. Although a fictional work, Stuart's book draws heavily on carefully researched historical detail and brings to life a traumatic and exciting episode in Sackett history. 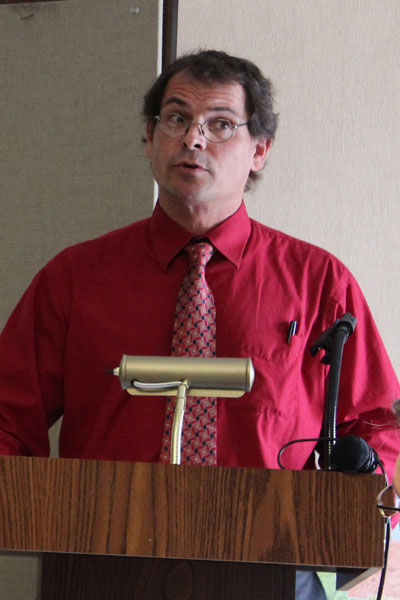 In his novel, Stuart Strothman uses the abduction of Elizabeth Sacket by Native Americans about 1682 to highlight the cultural differences that caused years of conflict. She was raised by the Native Americans, accepted their way of life, and married one of the tribe. One can only imagine how differently things would have been if, instead of war, the Natives and the Colonists had been able to have come to an agreement on their differences. 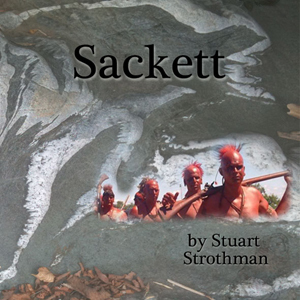 For more on Sackett by Stuart Strothman, or to buy the book, visit sackettbook.com.